Mrs. Frasure, Mrs. Beasley, & Mr. Kirby are the ACMS STLP appointed school coordinators. They guide students to create products, provide services or carry out projects that help the school and community. STLP is open to all students at ACMS. No student should be turned away from being part of STLP. We can find a category for everyone that is interested! STLP allows students the opportunity to demonstrate what they know in various ways called categories. STLP taps into students’ interests and can challenge and motivate them. 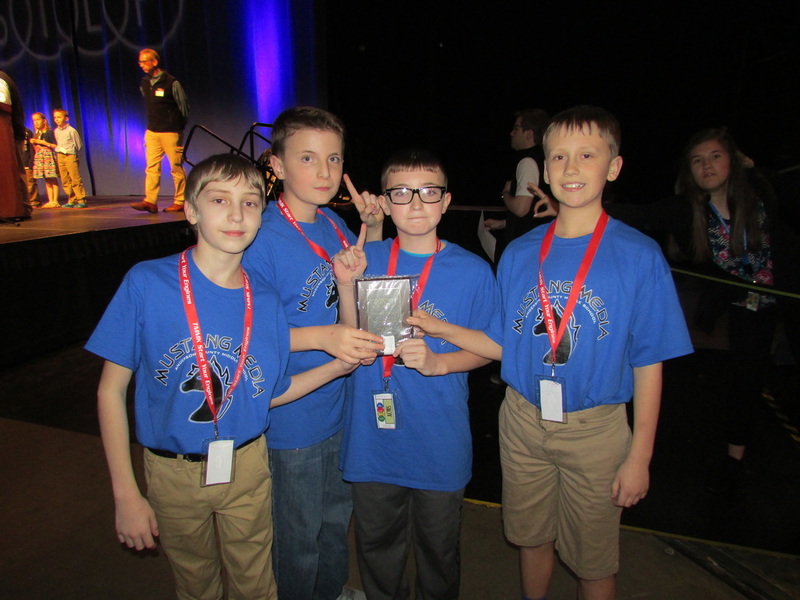 Jacob K., Brody W., Christian W., & Layne L. receiving 1st place for Mustang Media at STLP State Competition in Newscast Service. There are three competitions through the school year. The first competition in the Fall (usually October or November) is a regional competition to determine if some projects make it to the State Competition in the Spring. ACMS attends the competition at the University of Kentucky. 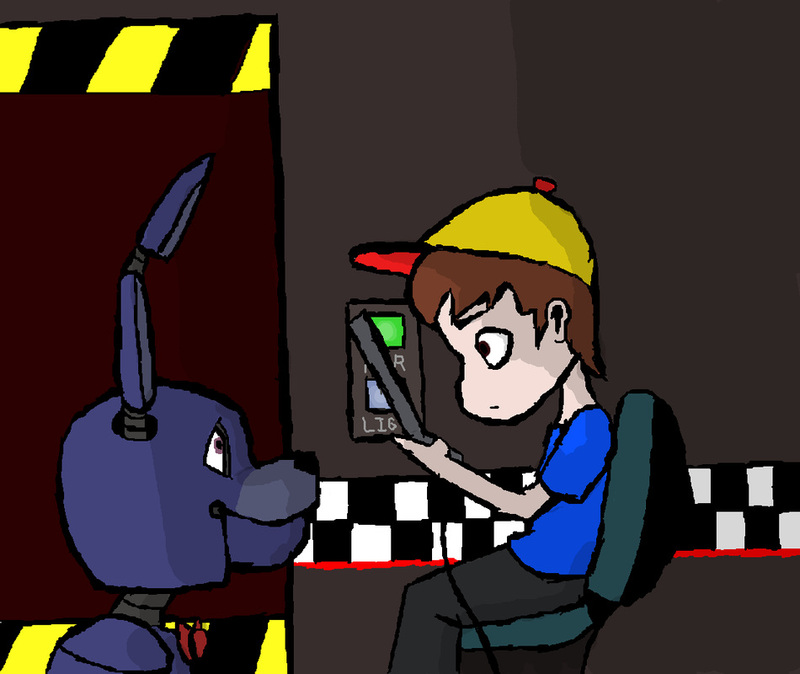 The second competition in the Winter is a virtual competition. Projects are submitted electronically to to determine if those projects qualify for the State Competition. The Robotics regional competition takes place in he Winter as well to qualify for State. The final competition is the STLP State Competition at Rupp Arena in the Spring. <- A piece of Digital Art created by Mollie Fields made it to State! KATE – Each year folks from Murray State’s KATE program sponsor a category. This is currently in development. Announcements will be made when product category has been finalized and published. Showcase (Level 2 & 3): Projects that qualified at Fall regional competition, continued to work on project, present at state. 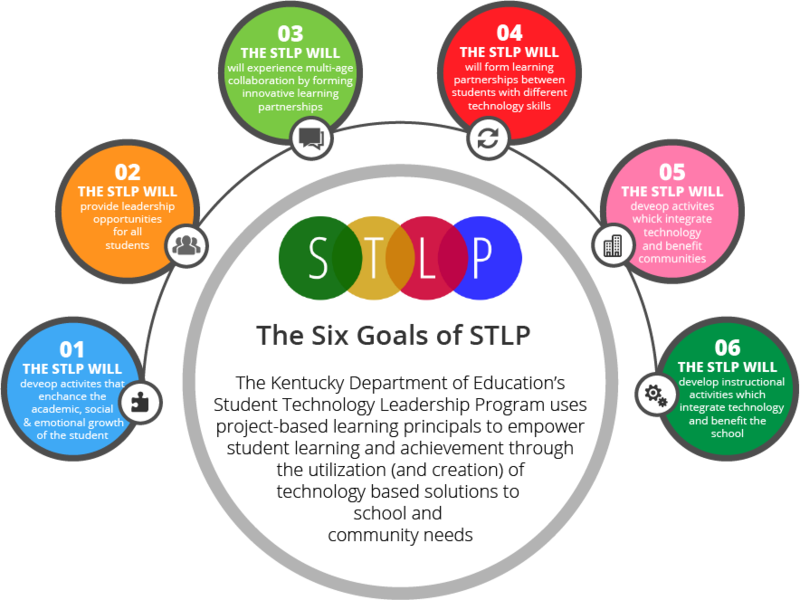 How does STLP help develop students?